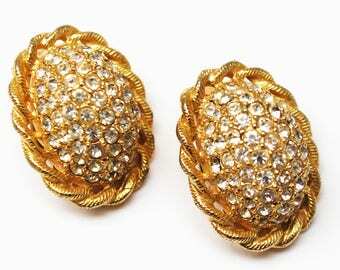 Serendipitytreasure present this stunning pair of blue and green Rhinestone climber earrings. 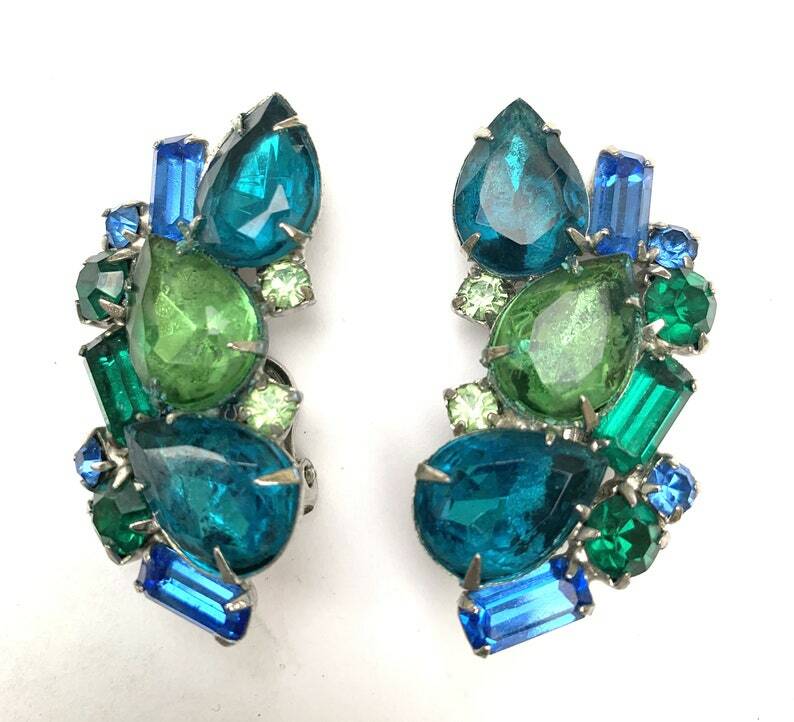 These mid-century clips on earrings consist of facet cut green blue crystal glass rhinestones pronged into a gold tone tone setting. The dimension ofthe earrings are 1 3/4 inch x 1 inch.